This is perhaps Rihanna’s biggest fan. Sarah Ridge, 23, has a total of 14 tattoos on her body of the Bajan pop star. Seven of those tattoos are images of Rihanna herself and the others are song lyrics and other stuff related to the “FiveFourSeconds” singer. The superfan said she spent a total of £2,000 on the body arts and continues to invest more money to go under the needle. Rihanna is currently working on his eight album R8, due later this year. 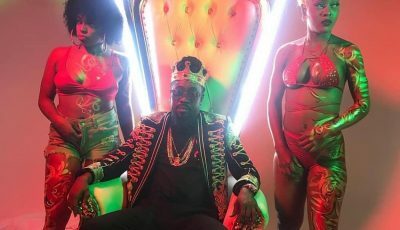 So far she has released two singles off the highly anticipated project. See more photos of Rihanna super fan Sarah Ridge tattoos of the singer on next page.
" 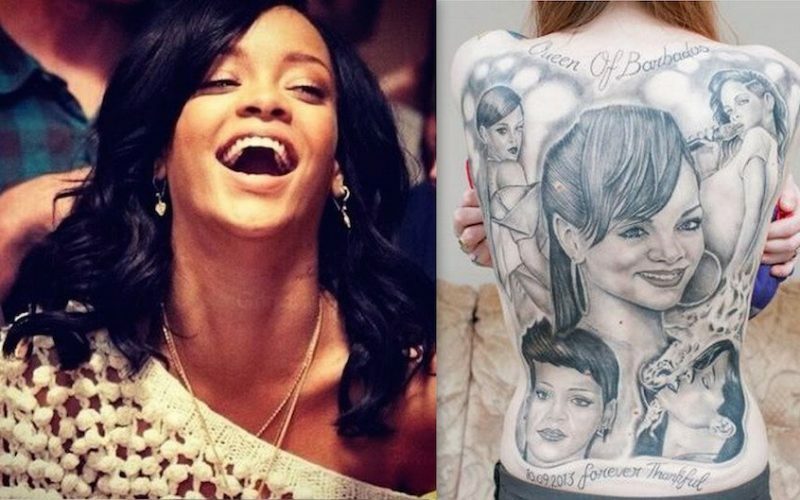 @fansdrihanna : Ella es Sarah Ridge de 23 años y tiene 14 tattoos relacionados a @Rihanna pic.twitter.com/WK4WP3MQvG ".